If you go on a trip and want to come back and share photos, you’d be well advised to check you’ve got the right camera card with you. Well, I hadn’t and so the only photo I can share from my recent trip to Vienna is this photo taken with my iPad. 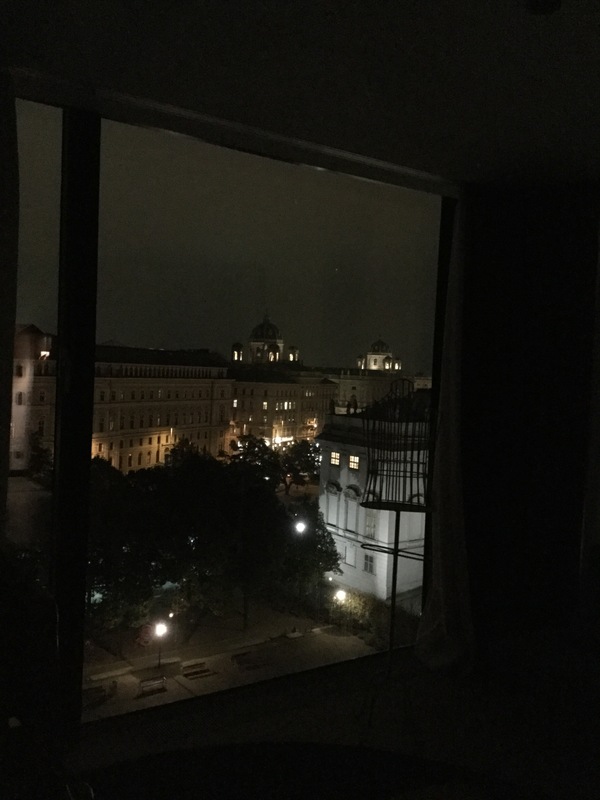 Vienna by night from my hotel room. The domes you see in the background belong to the Natural History Museum and the Museum of Fine Arts. I was on a course, so I didn’t have as much time to explore as I would have wished but I still saw an amazing amount of great art. There was a Munch exhibition at the Albertina. 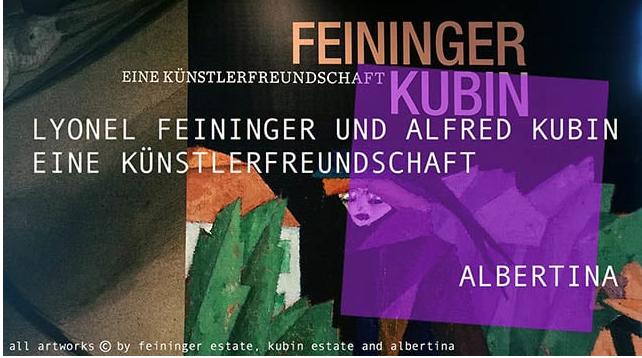 Also at the Albertina, I saw an exhibition dedicated to Alfred Kubin and Lionel Feininger. At the Winterpalais, I saw this Rembrandt, Tizian and Bellotto exhibition and, of course, the beautiful reception rooms of Prinz Eugen. The Albertina has a nice collection of Dürer’s watercolours. 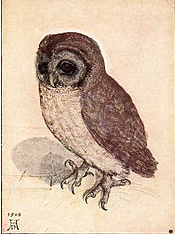 I really like the little owl. 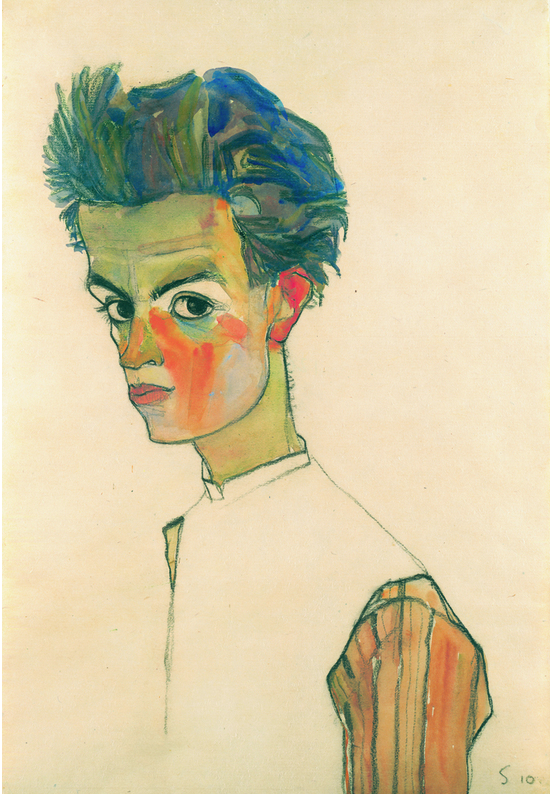 The Leopoldmuseum owns one of the biggest Schiele collections. I’ve always admired his work but never saw so many of his paintings. I never appreciated Klimt because I’m not fond of his most famous painting “The Kiss”. The collection at the Leopoldmuseum showed another side of the painter, which I found beautiful and inspiring. I could write a lot more about the trip but I’ll leave it at that. I truly enjoyed it and was glad to see that most of Vienna hasn’t changed much. There have been some unfortunate renovations in the centre, which make it cleaner, and, in my opinion, a bit sterile, but most of the city still has a shabby elegance, I find appealing. And the people are so warm and welcoming and have such a great sense of humour. If you get a chance, visit Vienna. It has such a lot to offer. I have a feeling, I’ll return soon. Also because I didn’t have enough time to go to the theater. That was unfortunate because they showed many interesting plays. Sounds like you had a good time, in spite of that pesky course… Shame about the lack of pictures, but I’m sure you had plenty of Ohren and Augenschmauss to make up for it! (I may be somewhat biased, as this is the city I grew up in and am therefore most likely to call ‘home’). I had no idea. You must miss it. It’s such a warm city and offers so much in terms of culture. I was a bit upset about the camera at first. I tried te iPhone but for some reason they don’t lok good at all. I don’t understand it. Everyone else I know takes great iPhone pictures. I could see myself move to Vienna. It’s the perfect size. Not too big but big enough. Very green. Quirky. Elegant and fun. Something for everyone really. I also think the quloty of life should be very high. I was wondering about the rents. Expensive, sadly. I lived most of my childhood in Grinzig. Just perfect (but way out of my price range now). That’s too bad. I was afraid it would be like that. I have traveled a bit on business where I managed to get some sightseeing in. It is nice to be able to see places when in that way. On the other hand I find it slightly frustrating that time is limited. Your post reminds me that I really need to learn more about art. Thank, Brians. (It is you, isn’t it?)? It’s good to be back. Business and education travels aren’t as much fun as vacations but I went a day early and stayed another day, so I could see some things. I love to see art in museums. I think you’d love Vienna. 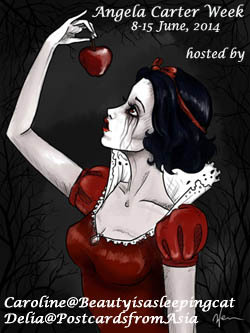 Thanks for letting me know about this Book Girl Strangeness. She is someone who I tried to help with a problem on with her account about 4 years ago, Occasionally her information pops up when I try to leave a comment. So bizarre!. i need to get this straightened out! It’s not the first time. 🙂 The tone gave you away and luckily your email rang a bell. It happened for the first time on this post. I realized because the tone sounded as if the perosn commenting knew me. Sounds like you saw some wonderful works of art during your trip. I am a Klimt fan and would love to visit the Leopold Museum one day. I don’t like all of Klimt but those at the Leopold Museum were really beautiful. It’s an amazing museum. They also showed an exciting exhibition of Expressionist art. I forgot to mention that. Glad you had a great time, and glad to have you back. 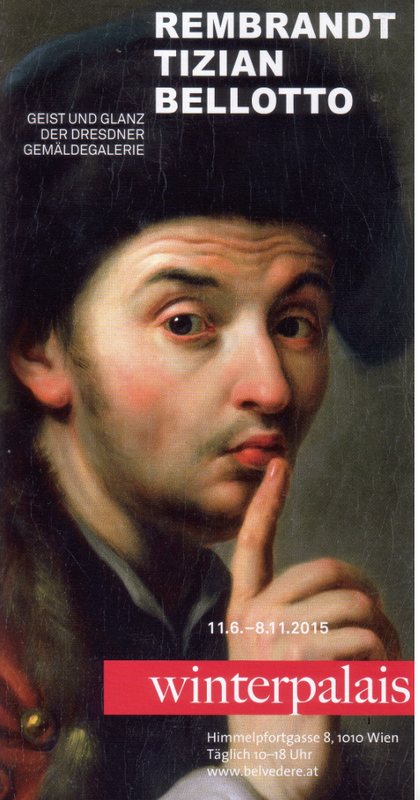 Thanks for sharing a few works of all the many wonderful things I’m sure you must have seen. 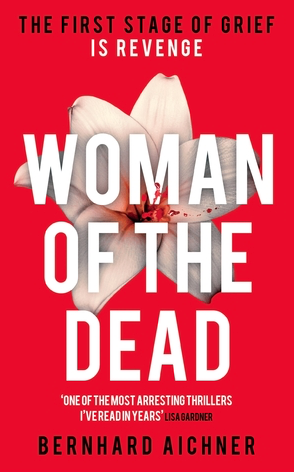 I’ll be keeping a lookout on my library websites for “Woman of the Dead” and the other two books of the trilogy as soon as they are translated and appear. Looking forward also to reading about it in your review. Thanks, Victoria. I’m glad to be back. But I enjoyed it a great deal. I had forgotten how many beautiful museums they have. I wanted to visit the Freud museum but the queue was so long. Next time. 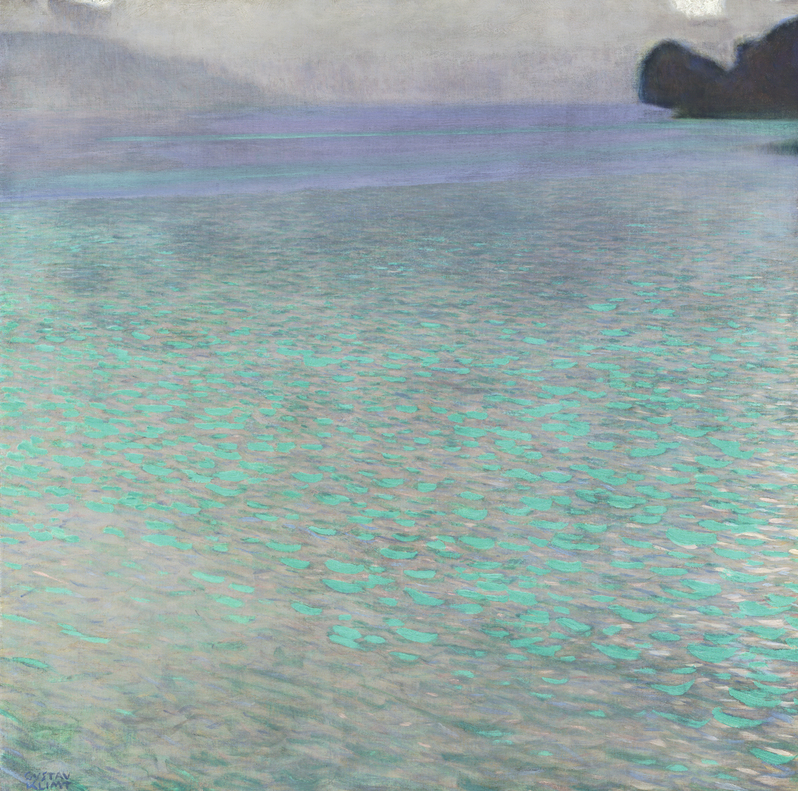 I have a print of Klimt’s water serpents. He’s painted some amazing paintings. I was biased because of the Kiss, which is too golden for my taste. And on every souvenir. Thanks about the photo. The view was great. But I didn’t want walk around with the iPad making photos. I don’t care for the Kiss either. So I was surprised by the Water Serpents so I bought it and had it framed. There were studies to The Kiss which were interesting. The water serpents are different. I guess he’s made different versions of them as well. yes, I have one of the versions. Not a single meerkat or zoo mystery, I am shocked. Such a beautiful city. So much art, so much art. I, too, would love to live there, if I could afford it. Yes – so, so much art. It would be lovely to live there. Where can you sit for hours in a café, drink one coffee and read all the major newspapers and nobody rushes you. It was a shame I couldn’t go to the theater. Vienna’s great, I’m terribly jealous. I’ve never had the time for the galleries sadly – my trips were both too short. Fortunately I’ve seen a fair bit of Klimt outside the context of The Kiss (I’m not sure I realised until this post that The Kiss was seen as such a big deal in his work). I think not having been overexposed to one helped me appreciate him, otherwise it would be like Munch who for me is basically one painting which I’m quite sure is horribly unfair. I had the same image of Munch – The Scream and that was it. 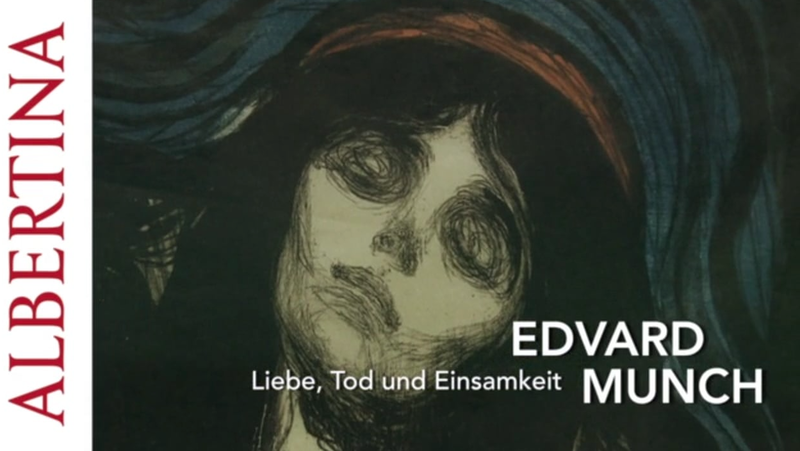 I was glad the exhibition opened my eyes – regarding Munch and Klimt. The Kiss is one of thise paintings that even people who know nothing about art would know and buy to hand in their toilets. Last time I was there I visited more castles and other museums. They have stunning collections as well. I also liked that it’s not an exhausting city. Zürich is only about a third but it’s hectic and frantic. Very business. Nobody strolls in Zürich. (I just mention it because I was there twice this summer). Yes, exactly. that’s what i just said to Max. It’s ideal for a leisurely walk and just absorb all the stunning architecture and parks it offers. So many parks. It’s so green. I didn’t eat a croissant. I’m not too keen on the French ones either. A bit too rich for me. That owl is very charming! What you describe with Klimt (and Max mentions with Munch) can happen to writers as well: I think Flaubert and even Fitzgerald are to some extent victims of one book overwhelming their other work. It is, isn’t it? The famous rabbit was there as well. True about Flaubert and Fitzgerald. Another Dürer I liked was the rabbit. I bought the Aichner but I don’t think I’ll be able to read it. I want to keep Lizzy company with Erebos, her readalong title, and it’s huge. Erebos is oddly captivating, btw. I’m glad that you had a lovely time in Vienna, and I hope you get to visit again soon! Thanks, Jackie. I also hope I can visist again soon. I’ve never seen these paintings of Klimt. They reminded me a bit of Monet. Very serene. I loved seeing the paintings, hearing about your trip, and receiving the book recommendation. Glad you’re back safely! Glad you had such a lovely trip. Thanks a lot, Bellezza. Yes, it was a great trip. WeLcome back, Caroline. What a lot of great art you saw! It’s been years since I visited Vienna, but you’ve made me want to go back. The book sounds like something I’d really like. Thanks, Carole. I feel like going to Vienna more regularly from now on. Just for the exhibitions. It’s stunning. 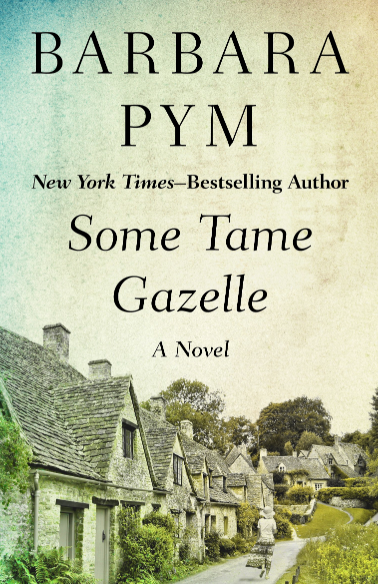 I don’t think I’ll get to the book this November as I’ve got too many others lined up. Let me know how you like it. Welcome back. I hope everything went well on your trip. “Woman of the Dead” sounds intriguing. I like that sentence on the cover. Thanks, Delia. Yes, the trip was great. the book sounds very intriguing. Thank you, Deepika. I’m very fond of the owl. I’m catching up on post reading, so I didn’t see your review. I’ll be heading over soon. As for the locals’ sense of humour, I guess you need to speak German to hear it. Honestly, this is not a city where I’d choose to live. I liked Budapest better. I visisted quite a lot of quarters outside of the tourist area and there you find it has a lot in common with Budapest – or rather the other way around. I saw Vienna before it was renovated and liked it more. The Museumsquartier is amazing because of the museums. I didn’t like the cold, functional style though. Since I do speak German I saw other aspects and found it so appealing. A lot factors in when you move to another city. If I chose for beauty alone, I’d prefer Prague any day. But I did like Budapest a great deal. 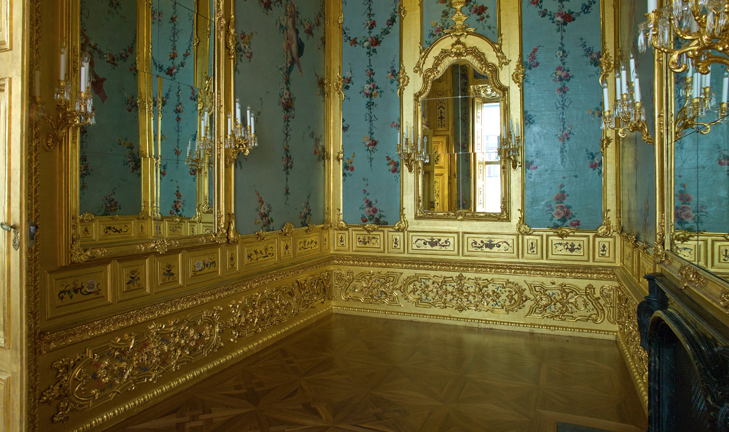 Did you go to the literature museum in Vienna? No. I saw it but I ran out of time. I also couldn’t visit the Freud museum as there was an incredible queue. The Literature Museum seemed interesting but alas, everything was in German. Not a single thing in English. That’s too bad. And a little strange.